You know, she’s absolutely right. I think time had blurred my memory, causing me to confuse her interpretation of Maya with Julie Newmar’s Catwoman on TV’s Batman. Further study of Lloyd’s performance proved just how wrong I was. Maya would purr. Maya would growl. Maya would even shriek like a banshee… but she’d never, ever meow. I stand humbly corrected. Thanks to Ms. Lloyd for setting me straight. The beautiful Ms. Lloyd as she appears today, no less bewitching. I’m still waiting on Vera Miles to sign and return an 8x10 I sent to her a few months back… If she comes through, I’ll post a similar spotlight. Yeah, Maya has given me nightmares too. A Biff Bang Pow action figure of her would be cool. Maybe I should get one of those autographed 8x10s of her. If I could only scrounge up 10 bucks. 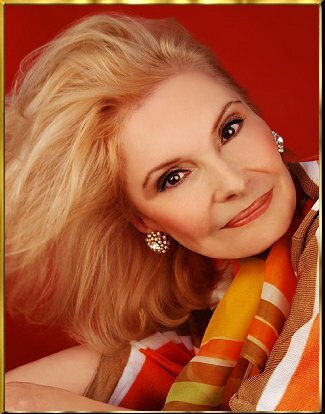 I just encountered your site, having googled photos of Suzanne Lloyd--after seeing the said episode of "The Twilight Zone" for the first time (as I recall)! She was/is hot indeed! 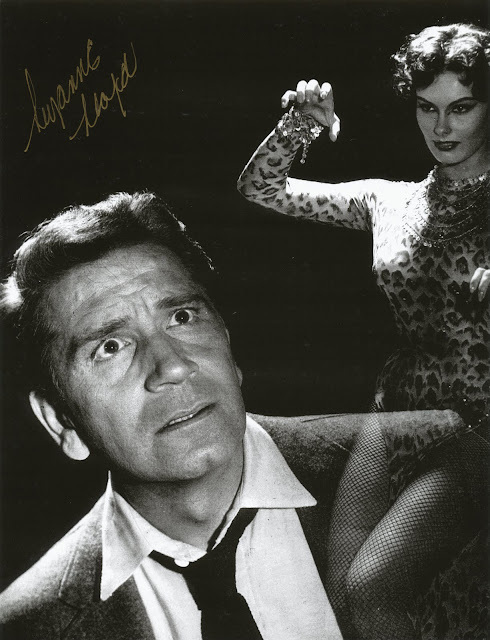 And assuming you got the autographed photo of Vera Miles--good for you! Hauntingly beautiful in that ep of TZ. Another similarly beautiful but frightening character was the bee girl from the ep of the Outer Limits ,*Bzzzz* now I'll have to go look her up too. Googled Suzanne bc she's in a Bonanza episode I'm watching. This appears to be (about) a six yr old blog but still I'm now compelled to search for the TZ episode she stars in!! TY (I think) LOL!